The bill originally prepared in 2007 is likely to sail through the house in the coming sessions. The provincial cabinet had approved it on October 3, 2014. The bill was vetted by the law department was first approved by the cabinet in 2010 but could not be tabled in the house for unknown reasons. The new bill if passed by the assembly will replace the existing Wildlife Act, 1975. The law will then be called Khyber Pakhtunkhwa Wildlife & Biodiversity (Protection, Preservation, Conservation and Management) Act, 2014. The current chief conservator of the Wildlife Department Mubarak Ali Shah said the existing law did not meet the requirements of current times and that there was a need for fresh legislation to cover all aspects of the wildlife, including international conventions and treaties. Khyber Pakhtunkhwa has rich in flora and fauna. Chukar partridge, the country’s national bird, markhor, the national animal, and deodar, the national tree, belong to the province. The bill’s aims and objectives are to strengthen the administration of the organisation to effectively manage wild animals and their habitats, to fulfill the obligations envisaged under the biodiversity-related multilateral environmental agreements ratified by the Federal Government and to holistically manage protected areas in a sustainable manner for the best interest of the indigenous communities and local stakeholders. The bill suggests the constitution of the wildlife force in uniform, which will be equipped with arms, ammunition, vehicles, vessels, tools and communication system. It says members of the force will be acceptable as witness before the court within the meaning of the Code of the Criminal Procedure, 1898 for the implementation of the proposed act. Currently, the Wildlife Department does not have regular force to check illegal movement, pouching, trapping, illegal hunting and trafficking of wild animals and birds. The relevant officials said the word ‘force’ had not been used in the existing law. 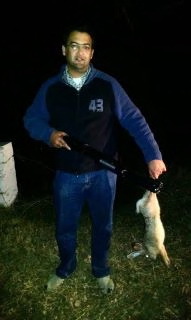 The proposed law authorises wildlife officers to enter any premises, enclosure or building other than a dwelling house to make a search and seizure of wildlife produce and arrest offender. Under it, the Provincial Government will set up the Biodiversity and Wildlife Fund to be used for improvement and development of protected areas, national parks, conservation, research in the field of biodiversity conservation, capacity building of the department and communities and purchase of additional land to add to the protected areas. Dr Mumtaz Malik, however, opposed insertion of the word ‘biodiversity’ in the fund. “Biodiversity is a very vast term, which covers all living things, including forests, fisheries and agriculture,” he said. The former chief conservator said other departments might also demand share in the proposed funds. Under the new bill, the number of protected areas has gone up from three to eight. It suggests substantial increase in fees for hunting permits of various species and fines for violators of wildlife laws. 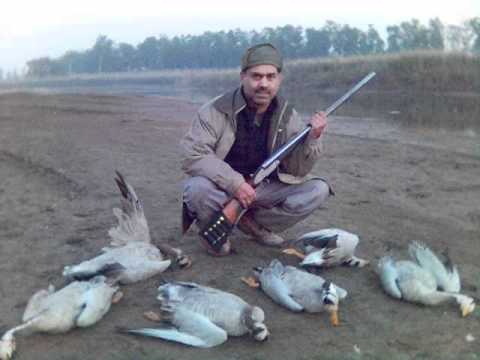 Fourth schedule of the bill suggests a minimum of Rs 5,000 fine or one week imprisonment or both plus value of property or two weeks imprisonment in lieu thereof and maximum Rs 45,000 fine or two years imprisonment or both for unlawful hunting by means of restricted weapons or appliances. The maximum fine for illegal hunting of partridges has been proposed at Rs10,000 or one-month imprisonment or both. The proposed law says the government may further prohibit or regulate the import, export, possession and trade of wild fauna and flora their parts, products and derivatives as contained in various appendices to Convention on International Trade in Endangered Species of Flora and Fauna and Convention on Migratory Species of Wild Animals.